Hi, there ! Renxkyoko Iglesias here ! My father arrived from Manila , Philippines , Friday evening . He has tons of stories to tell because he was right there in the Visayas islands in the Philippines when the super storm happened. 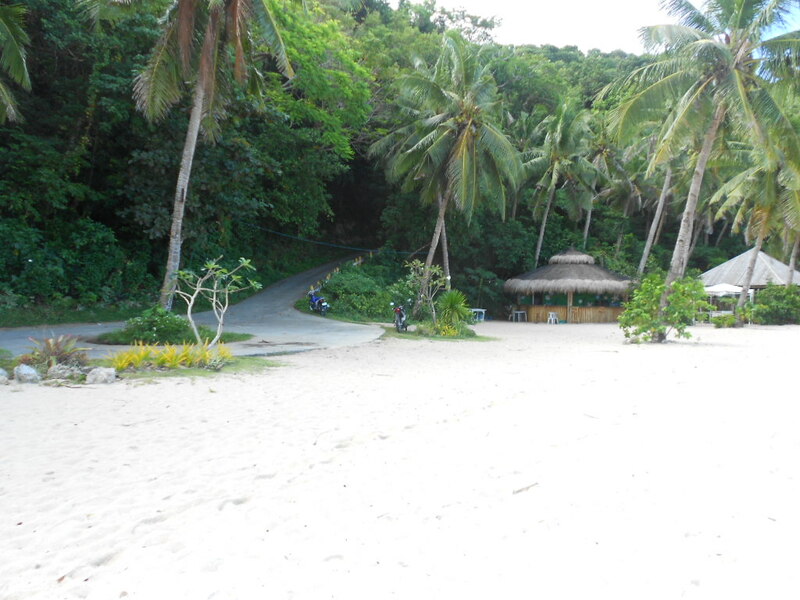 Fortunately, Boracay Island wasn;t hit hard. For a few hours though , it felt like the end of the world , Dad said. 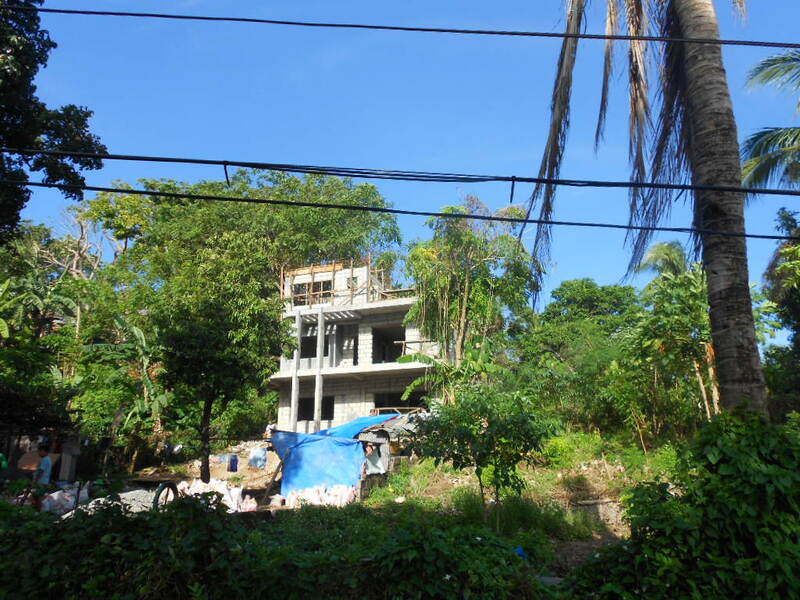 My regular readers know we are building a vacation house in Boracay. A fellow blogger friend, Dead AnarchistPhil had asked about the house… was it damaged or not? Luckily, no. 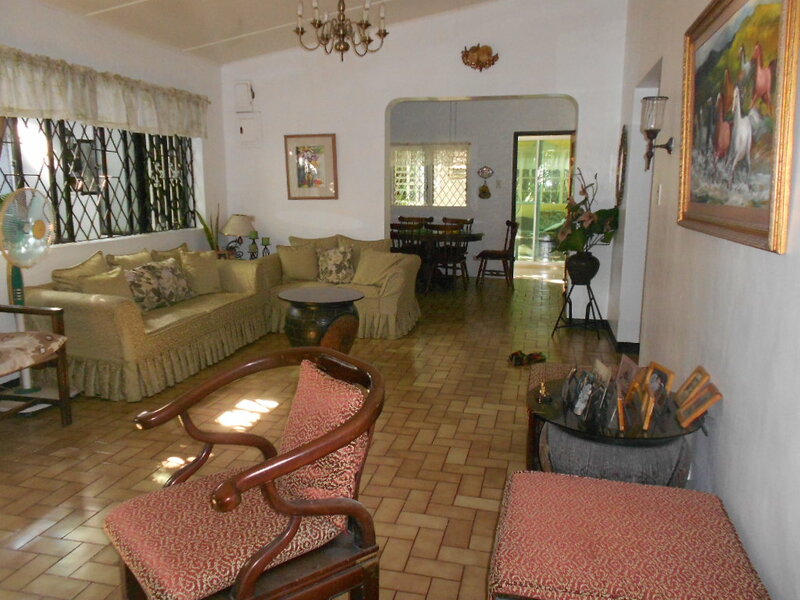 And here are some pics of the house, nothing much as you can see. Heh , There’s dad in yellow striped shirt. That’s the back of the house… Dad going up the hill. Landscaping is part of the contract , so , I guess they’ll make the backyard nice too. It does look like a jungle. 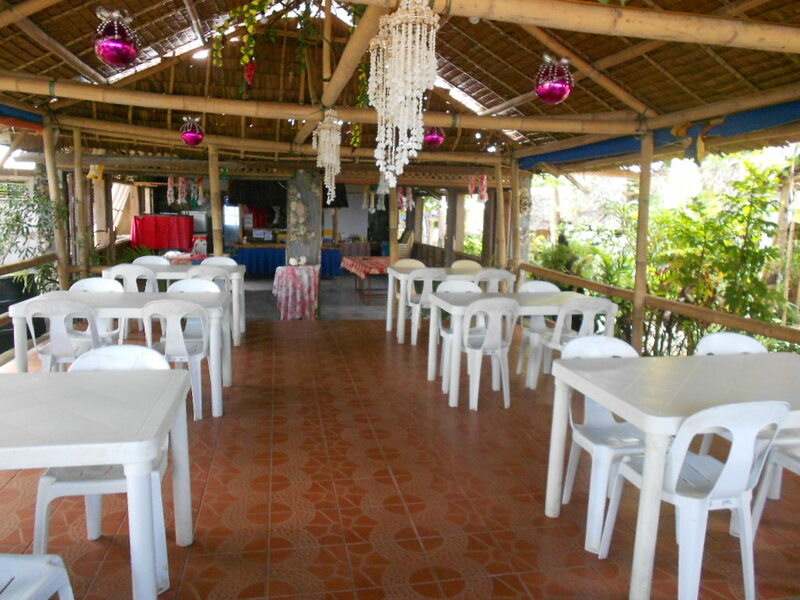 .A relative’s restaurant, beachfront. The whole place was blown away by the storm, except the flooring. Our cousin managed to take out all the restaurant stuff before the storm… to be honest, I hope he left those pink heart thingies hanging from the ceiling. Ugh. The place needed a serious make-over, anyway. Just kidding !!! I love the open space, bamboo materials, and thatched roof ! Dad at the beach., 2 days before the super storm. .Tourists unaware a super storm was coming. .Those structures were blown away, too, Dad said. .Such blue sky ! Who would have thought……. 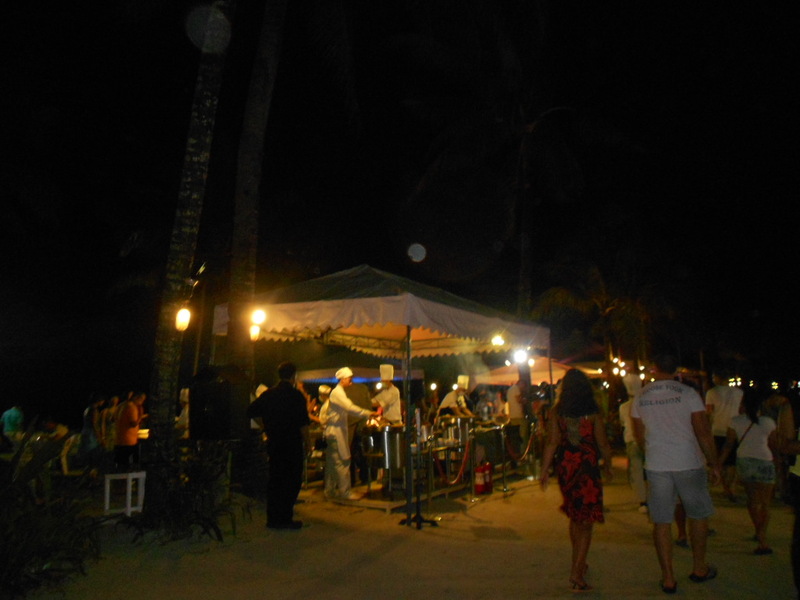 /Nightlife at the beach. This is the ” busy ” part of the island. Ours is very quite and private, which I think is nicer, imo. Tourists can go to that place at night if they want fun. 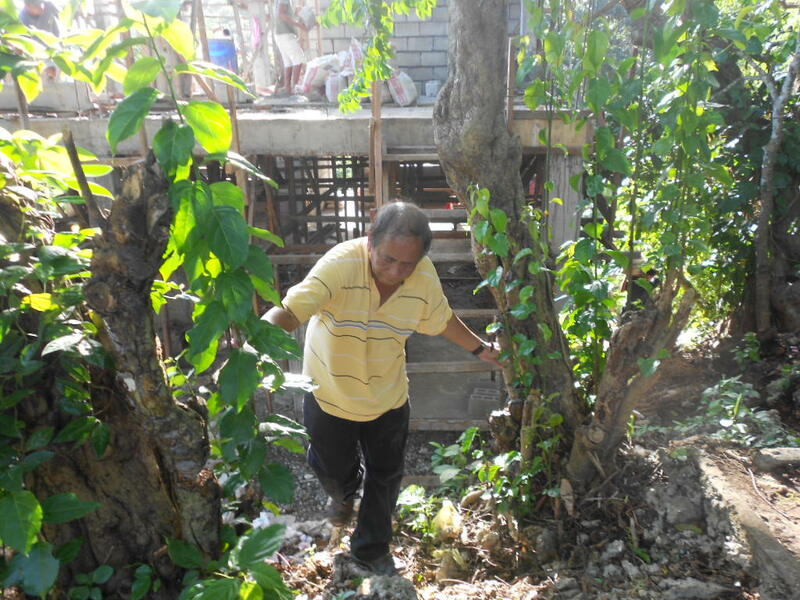 Dad safe at our house in Manila, the capital city, far from the storm devastation. There you go… the other window. Outside. And that’s my aunt…. and what the heck , why is there a mirror outside? .Okay, this is the French door I’m talking about. 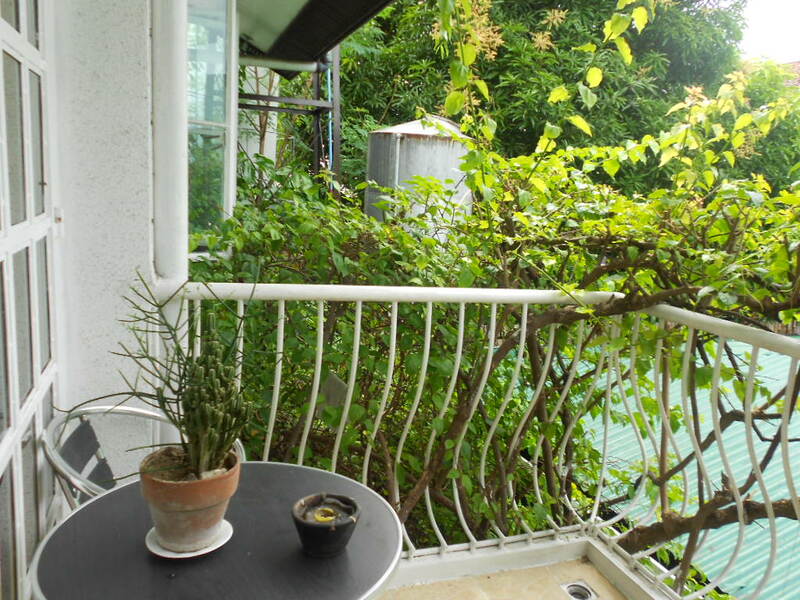 It’s on the second floor, and that’s the veranda. 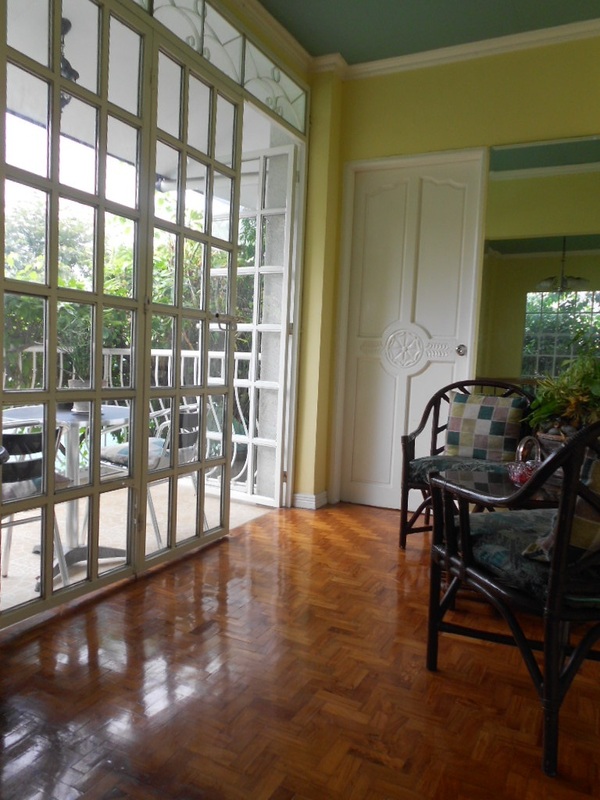 The house at Boracay will have verandas all over. Oooh, that’s my bedroom door. .I’m showing you the water tank. Now I understand why we have it. We’d have water , just in case. When we were there 2 years ago, there was a huge storm, too, and there was no power for 3 days. In our subdivision, no power=no water. It was fun at night, though.. We had candle lit dinners, and a few childhood friends would come over, brought snacks, and talked about ghosts…….. and how our house was called a haunted house for several years when we immigrated to the US. You see, nobody lived in our house for 5 years (until my aunt who was a Singaporean resident retired and is now living in our house.) Anyway, we only had a caretaker who came in 3x a week to clean and water the plants. Some neighbors swore they would sometimes see a woman walking around in the house at night. No, not the caretaker. She didn’t have the key. Our relatives, who live next door, had the keys. And it wasn’t our relatives, either. After listening to these stories, I slept with Mom through the remainder of our vacation. LOL I’m a scaredy cat. So, that’s it for now. 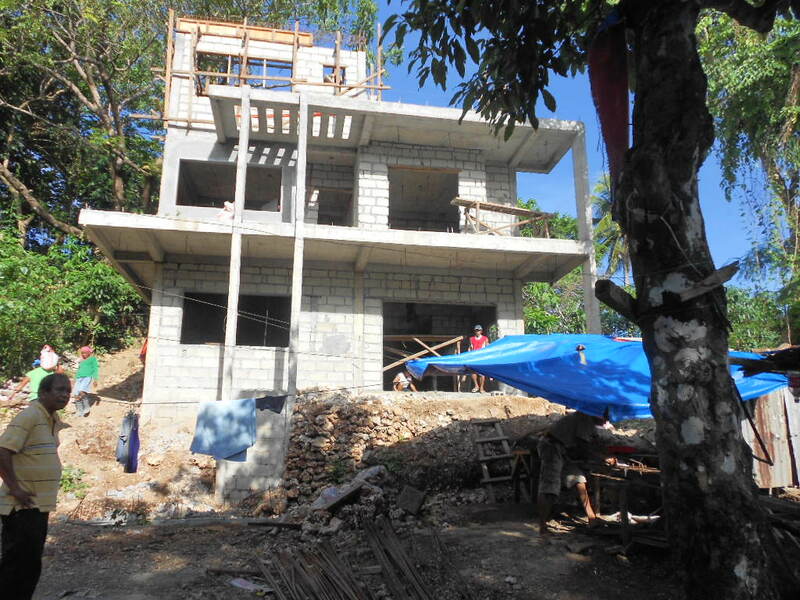 It’s a tour of our house in the Philippines, and an update on construction of our vacation house at Boracay Island. PS… The engineer and the 13 workers are all from Tacloban City, the center of typhoon Haiyan’s destruction . The engineers house is gone, but thankfully, his father managed to secure all his stuff, especially his 50 inch Sony TV, his prized possession. 0_0 ” All the rest of the workers had damaged homes…. 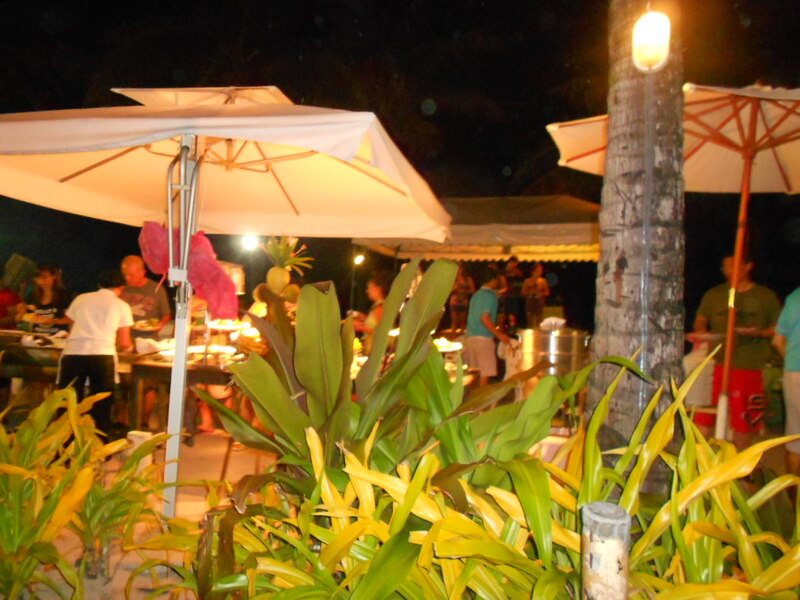 but they all came back to Boracay . They say now is the time to work. They need money. In fact, some people there are begging to be taken in and work there, too. The engineer has enough workers, sadly. Have a good day, folks ! Next will be my Paris tour. Aaargh, I know…..
91 responses to this post. salamat sa dalaw. hope you are well, dear…. Yun link, nasa ending na…. guess post ko yan ha ! ! Sigue na, read it, pretty please ? I’m thankful too that he stayed safe. It does look like it’;s going to have a nice view , but I’ll have to see it first. It does look like a jungle, and that means the scenery is covered with trees. maybe the upper floors will have a better view. Oh, yes, we’re thankful there was no damage at all. It’s already costing us far more than we had expected, but then it’s always like that, right ? That’s why we always have to bloat the expected cost before we jump into projects like this. They say we have to expect storms to be as strong as this from now on. The planet is changing, I guess. 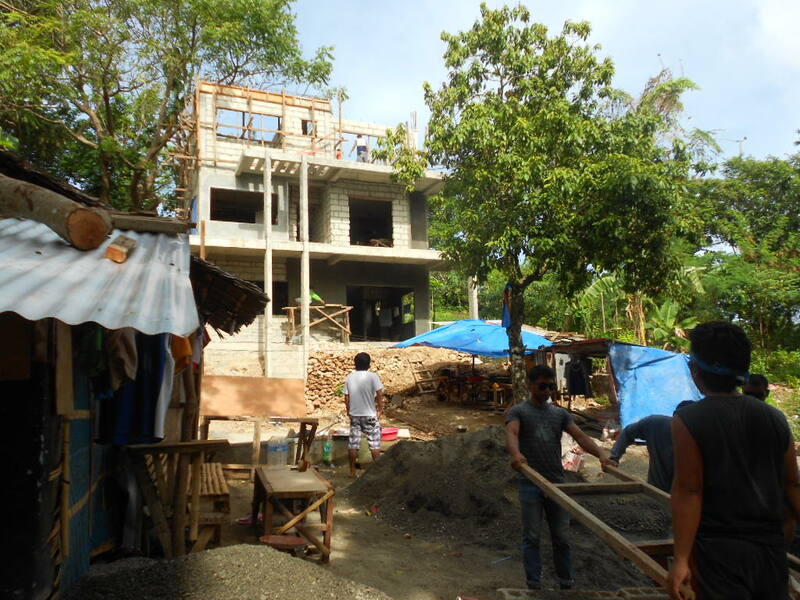 I hope the people of Tacloban can build sturdier homes, not flimsy ones that can be blown away so easily. Furnishing the house is another huge, huge problem ! ! Aaargh ! So, it appears you were OK given the destruction in the Philippines? yes, thankfully ! 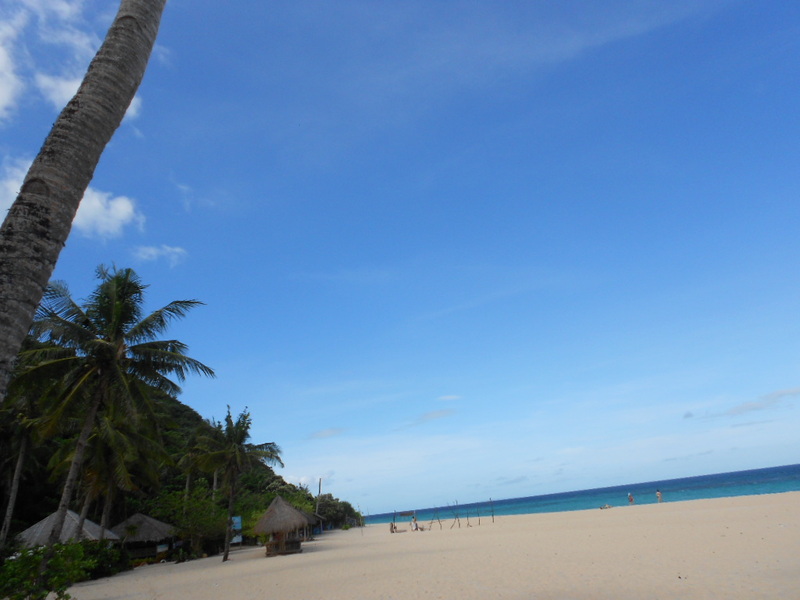 the storm hit central Visayas, and Boracay Island is in the central part, but wasn’t hit hard. The first landfall slowed down the storm before it reached Boracay, so the island was spared. Yea! I’ve noticed you posting, so I assumed you were OK. Thanks for the shout-out, Jueseppi ! ! ! ! Loved this post. U should post more often if you can find the time. Have a good fun safe weekend. It’s a lovely spot! Yes, from your pictures, who would have known…. I’m so glad your dad is okay!! Mom said she experienced that when she was a student. It was a lovely day, so everyone went to school , work… then at noon, a huge storm suddenly came, a 250 km /hr storm, named Yoling. She was at school, and right there, they saw glass windows breaking, trees toppling down from their 4th flloor classroom. later, they all grouped together and went to someone’s house closest to school, wading in waist deep flood. Wow. That sounds scary. I was in a few really powerful typhoons in Taiwan and Hong Kong, but nothing quite *that* scary. Glad both of your parents survived! Just my father was there, Jessica. My mother was at home here in the US. As far as tropical storms go, the Philippines is always bull’s eye. The country’s used to this, but this one was definitely beyond compare. Oh, didn’t notice that ! But I’m still getting updates from your site. It’s good to read Papa Iglesias arrived home safe and sound! It’s also good to read that the workers who were building the house are alll safe too! It’s a shame the others don’t have jobs. But it makes me think, maybe the Philippines and the international community should take this opportunity to re-make/order the country by building new roads, bridges, homes and neighbourhoods? If they embarked on infastructure building they could give people the jobs they need and stimulate the economy in the process. Yes, it’ll cost money, i.e loans from the IMF (For all their flaws), but it’ll help in the long run. Well, that’s the idea but we both know things don’t always go that smoothly in the world of economics. 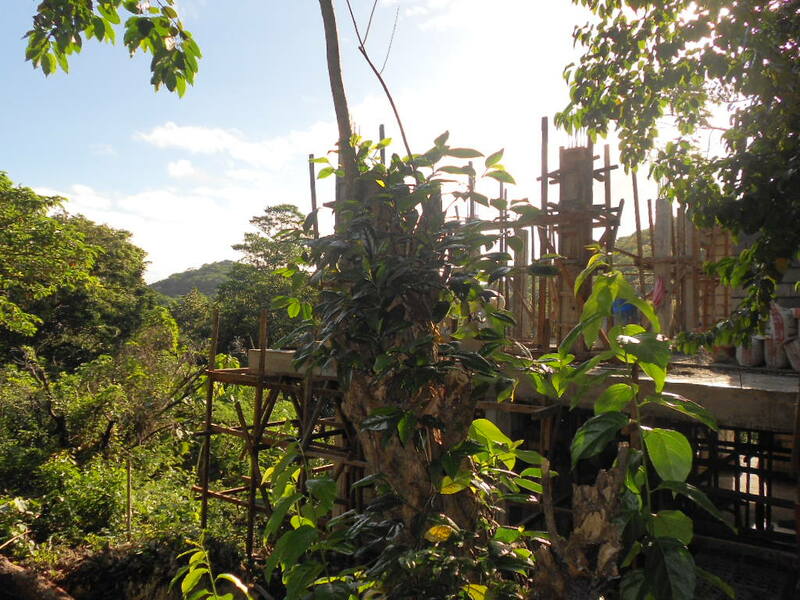 Ah, the Boracay building site, just as I imagined… a building site in paradice! lol Though it’s far more progressed than I had imagined! 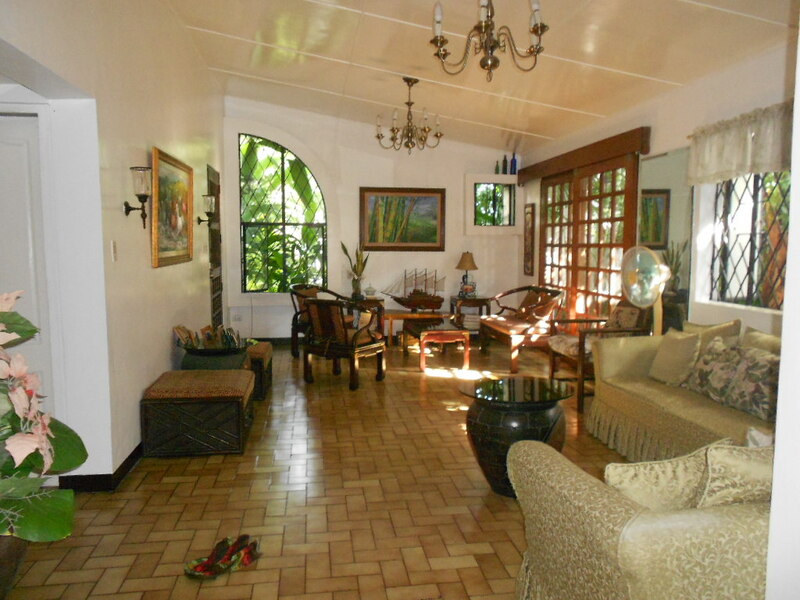 You have a lovely family home in the Philippines, Ren! If the guest house looks half as good as that then you’ll have a lot of customers! I would use it but, alas, I am lacking the funding right now! But when I do have the funds I will be there, on ‘mates rates’ of course! About ghosts, um, I’m not a believer in them. I’m very sceptical and believe most instances of them can be rationally explained. Having said that one of my sisters has seen her Grand father, who she’d never met in her llife as he died in the 1970s and she was born in 1990. She also saw our gran after she died in 2008. In both these instances she was sat near a TV and I believe the electromagnetic fields produced by the TV’s could have caused her to see things, as some peole are prone to being affected by them.This has been replicated in the lab (Though these findings are also being debated). Look up the ‘God helmat’ and have a read when you have the chance. I’m off to check out the llinkage you left in the blog! 😀 Have a good day, mate! Ha ! I highly doubt it would go smoothly, Phil. The only thing the national government can do is be rebuild the roads, a few infrastructures, etc. The people will rebuild flimsy homes again, and they will be blown away again when another storm comes. Flimsy homes are what they can afford this time… tin roofs, wood, and whatever they can scavenge from the ruins. Most of them are farmers, fishermen, etc. I guess rebuilding = jobs. 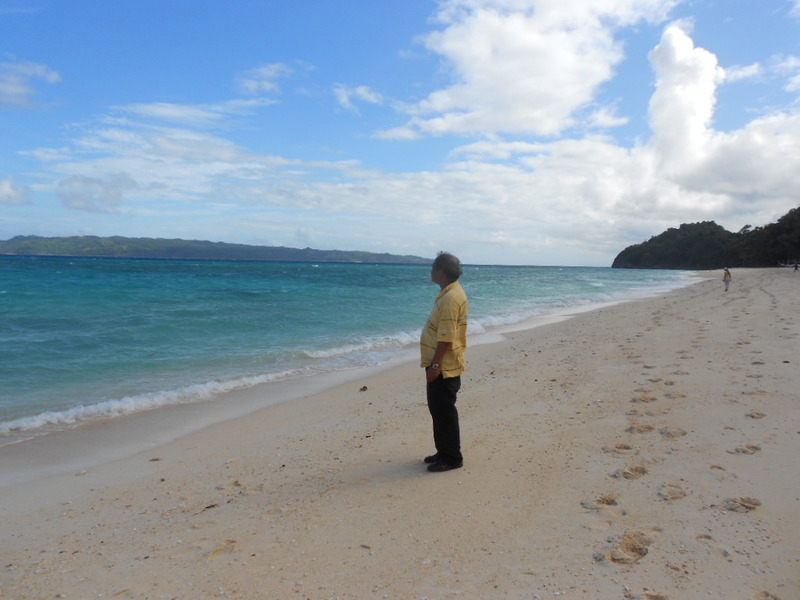 Before the storm, these islands ( Bohol, Leyte, Samar, were the poorest provinces). Donations will dry up, and the people will be left to fend for themselves. But we’ve seen this happen again and again. And , thank goodness, they rise up, with a smile ! Ahahaha ! My Dad was holding on to the trees to avoid falling down, down, down . LOL ! Ha ! So you’ve read my guest post then ? I don’t know what to believe, but what do you think of my post ? It’s pretty straightforward… no orbs, no shadows, etc…. Yeah it wouldn’t, such is the world of economics. Maybe the peope there are used to it but I couldn’t do with my house being blown away every year! Actually I’ve come up with an idea to market! It’s a house that flys when the wind makes it airborn! Strong winds pick a house uand all the people have to do is swtich the engine on and you got it… people saved! I’ll get to work later with the designs! What got me about your post, which I commented :), is that the experiences weren’t yours. The same thing’s happened to me, I only know of family who’ve had experiences. If you want me to be honest, I believe you’re Mam could have easily been sweating when she was asleep, or maybe there was condensation on the celing that dripped on her face and woke her up. Don’t get me wrong, they’re interesting but they can eassily be explained. Add to people’s woes is government corruption. Aaaah, I don’t know if this is the appropriate time to air the dirty laundry. Nope, I won’t talk about it. I’m glad though that the Philippine government has made a website to make public all the donations and aids that come in and will make an accounting of every penny it receives. Bravo. Here in the US, there was an overwhelming support from all Filipino-Americans, all 4 millions of us. Besides money , we donated clothes ( We even donated clothes that still have price tags in them, unused ), but we are a little wary nice clothes might end up in thrift shops there, instead of to the victims. The experiences might as well be mine, Phil. It happened to Mom in early spring, so sweat wasn’t it. In fact, she was half-awake when she felt the water sprinkling. And, she knew exactly what it meant, and what was going to happen, then, something did happen. What scared her was who was it this time. there are some things that couldn’t be explained. Like I said, there were no ghosts, orbs, etc….. just some unexplained phenomena. I know the Philippines has a big problem with corruption, which was why I was worried about donating. I didn’t want the Gov there to pocket any donations. So I gave it to the British Red Cross, at least that way they will buy what needs to be bought and help the people… I hope! So I understand your anxity about sending clothes and other things there. I think your dad and the house and you aunt and all your family is beautiful. They’d have to be, they are your family. And they say, it’s going to be like that, from now on, cindy. They really have to build sturdier structures that can withstand storms like that. By the way, I played Viva La Vida on my laptop and let the hummungbirtd listen to the song……. AND YOU’RE RIGHT ! ! ! When I went out,( and normally, the hummingbirds would buzz me,) they actually listened, and ignored me !!!!!!!!!!!!! It’s good to know that all are safe. It’s hard to comprehend such mad weather happening in such a beautiful location…I am glad Mr I is safe as well. yes. When there was zero contact for 3 days, so many awful things swirled on my mind, Ste J. I was so worried ! Wow – what a beautiful island…such devastation but happy to know that your dad and aunt are safe and sound. 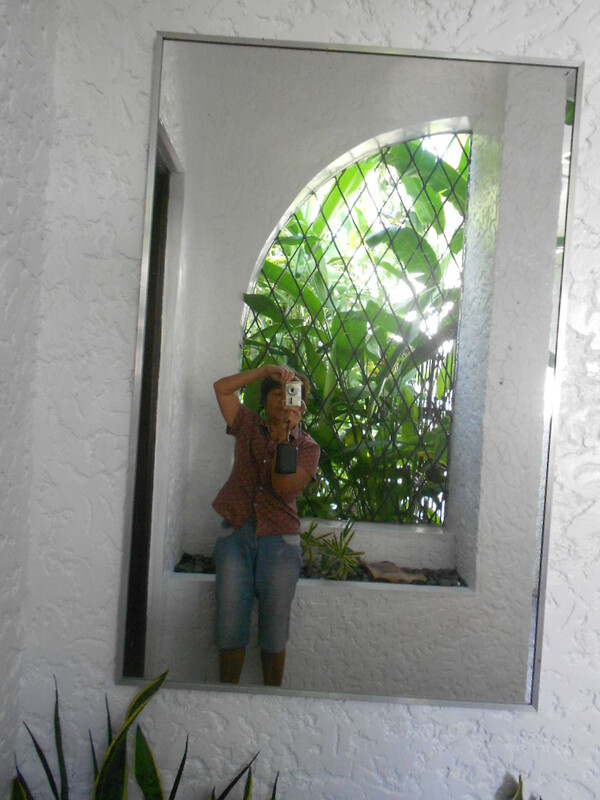 We have a friend who has a large mirror in her backyard and I simply loved it! Happy Hump Day Wednesday. Best wishes for everyone there! Thanks, JK Bevill ! ! ! Good news your dad is okay. Thanks, Danny Breslin ! ! So happy to hear that your dad is safe. I’m still reeling about the devastation and continue sending good thoughts to those there, and condolences to the families who lost loved ones. I don’t know how they will cope with this misfortune. I’m sure they will do something about the situation. They have to. I know. I have not really seen the original design, although it’s no use even if I did… the design was altered several times, anyway. Huh ? Polluted ? In Singapore ? No way ! the Singaporean gov’t is very strict and efficient ! ! Thanks, Mitzie Mee. I just read your latest. I’m grateful you were part of of that charity event given by PinayFlyingHigh ! ! mansion? I wish. It’s just a house, bigger than normal, though… ha ha. Mansion connotes grandeur, aaaargh. I hope it’s gonna turn out that way, though, which I doubt. I’m glad the storm hasn’t caused much damage to your House but above all that your father is save ! I still feel very sad for the other people and hope the will get much help to rebuild their lives like they had before also if that means that it can not never be the same for many ! Wish you a very pleasant Sunday and see you 🙂 ! Thank you for the kind words, SerachShiro ! The situation gave us quite a scare for at least 2 days of not knowing. But of course it couldn’t compare with the rest of those who were right there. He did look like he was relaxing. he actually had no idea the storm would be that strong. thank you for the kind words, Peter ! ! It’s located at Yapak beach. And I hope you get to visit the place when you get back home. The house is going to look absolutely magnificent. I hope, I hope, I hope ! ! Thank you, Soapmouth. Oh, and congratulations for getting the part of the main character ! ! You’re going to be a celebroty soon ! ! ! Wow ! Congratulations, your blog has been nominated for NEPALIAUSTRALIAN’s Blog Award 2013. Please click the link for more details. I had read it ! But, but, what shall I do, nepaliaustralian ? is there going to be voting or something? First all of big congratulations on nomination. Please write a post in your blog about this award or reblog the post so your readers can vote for you. There are buttons at the end of the post for you to share or you can use the link below. Also add the image from the post with the link on the side bar of your blog so your readers can click there and reach this post to vote for you. You can Facebook or Tweet the post so that many people are aware about your blog and the blog award. Just leaving this link here to my new blog as I said I would. If my new blog has turned up in your ‘reader’ or e-mails, then tell me and I wont have to post these. Hope you’re well and on top of your study, mate! I figure the mirror will do that… though, I still find it a bit weird, ha ha ha. m about to check out my email folder now……… I’ll let you know . Glad that your father is safe … beautiful house 🙂 Been a while since I visited. You changed the look of your blog sweet girl? My god! 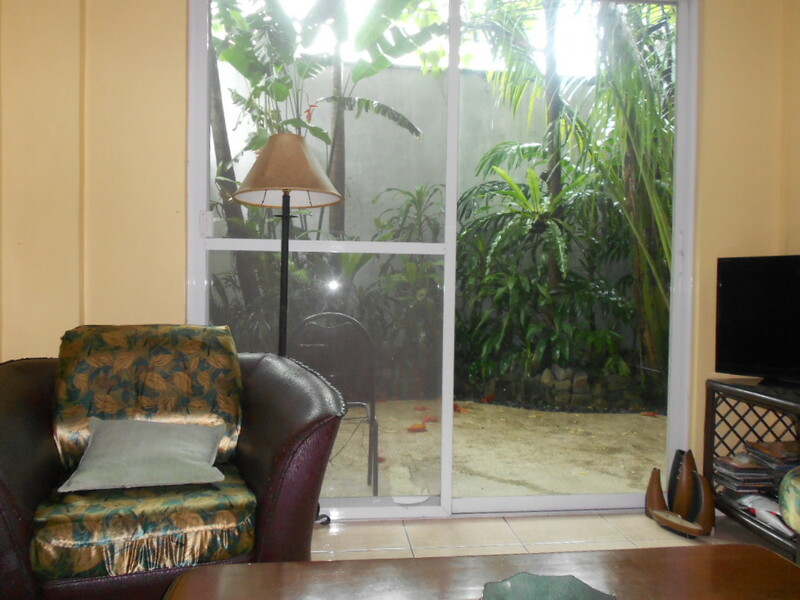 That house is amazing, especailly beacuse the back yard is basically the jungle! Beautiful photos. Good luck with the new house. And I’m glad everyone you care about is okay! How lovely to hear your father is back home now! I loved the pictures of your vacation house, the design is so open and airy! fantastic pictures…and glad to hear the good news that your father is back home..
do you have an instagram? i see all your pictures on your gravatar and here…. Hey it’s been a while. I’m waiting for you to write again. Posting 2 x a month is just fine, especially as your posts are such great quality! Wonderful photos, Renx. Especially love the unaware tourists!! That beach totally looked like when Daniel & me went to Thailand. Super pic in your post..
I’m nominating you for Sisterhood of the World blogger award, Ren! Your vacation home is going to be beautiful. Thank goodness your father was okay.